The Shahrahe Quaid-e-Azam, or the famous Mall Road of Lahore is studded with Victorian style buildings almost throughout its length. Starting from the Mian Mir Cantonment Bridge, the first one to appear is the Aitchison College on the right and then it continues till it ends near the building of the General Post Office Lahore. 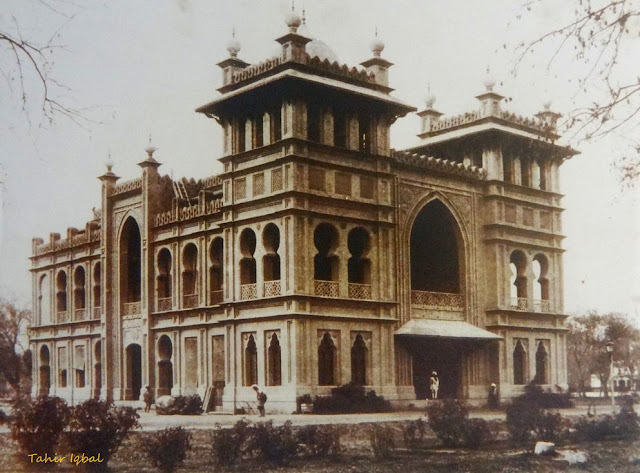 The major portion comes from the Lahore High Curt building, followed by the GPO, Tollington Market, Lahore Museum, the Punjab University, the National College of Arts and finally the Town Hall building. All buildings are unique in their Victorian architecture, specially the Town Hall building. It is this last building, that this post is about. I saw this monumental building right from my younger age as the Double Decker buses of the Lahore Omnibus Service which I traveled on from my home to my school and later the Government College, turned right in front of the Town Hall building and this used to be the last glimpse of the Mall and buildings on it. The building is presently under use by main government offices of the City District Government Lahore (CDGL) and Fire Brigade. The importance of the Town Hall multiplied manifold after the 1965 Indo-Pak war. The Indian thrust of attack was two pronged aimed at the cities of Lahore and Sialkot. The people of the two cities fought side by side their brethren in uniform and supported the armed forces in every way they could. It was their support that enabled Pakistan Army from letting the Indian Army realize its aims and objectives and halted their forces far away from Lahore. 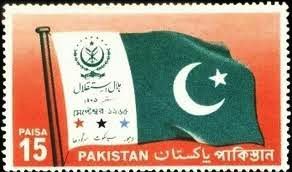 For the resilience shown by the people of Lahore and the support afforded to the armed forces, the government of Pakistan announced special flags, known as Hilal-e-Istaqlal, to the people of Lahore, Sialkot and Sargodha (Sargodha is a major Pakistan air force base from where successful air missions were flown both inside and outside Pakistan in support of the ground forces). In the early hours of Monday, the 6th September, 1965, the enemy launched his treacherous attack without declaring war and advanced towards LAHORE from three directions. The enemy’s advance was stopped dead near the border on the very first day of the battle by our gallant Army, but he went on trying for a break-through until the end, which he could never achieve against the steel wall of our heroic forces. Throughout this period the enemy planes raided Lahore; and the outskirts of the city were subjected to shelling day and night. This bomb-ing and shelling of unarmed civil population brought death to many, including women and children. The enemy exercised intense savagery with complete lack of scruples. But the people of Lahore remained undaunted and unperturbed and faced the challenge with cool and un-waver-ing determination. People of all walks of life stuck to their jobs and went about their normal business without any signs of tension. They forgot all their incon-veniences and tried to help the country’s war effort to the best of their ability. Every day in their thousands they stood on the roads leading to the front. Every day hundreds of them headed towards the front line to join their gallant soldiers fighting the enemy and had to be restrained with great difficulty. The attitude of the people of Lahore during this period raised the already high morale of our troops to new heights and they answered their call by not only preventing the treacherous enemy from coming anywhere near their town but also by throwing him back and pursuing him into his own territory. Throughout this period the people of Lahore displayed their traditional cour-age and defeated the evil designs of the enemy to demoralize them. Their determination and devotion to the country will be re-called with pride by the generations to come. It will become an epic of our history that the enemy attacked “the heart of Pakistan”, for that is how Quaid-i-Azam described Lahore, but failed to hurt it; “the heart” throbbed on with health and vigor. 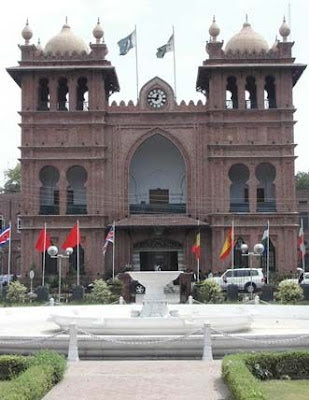 Now the Hilal-e-Istaqlal flies side by side the flag of Pakistan at the Town Hall building since the day it was first conferred upon the citizens of Lahore and is replaced every year on September 6, the day of the commencement of the war, now celebrated as the Defence Day each year.